Nathan "May Day" May is a returning U.S. Army veteran who, via the Helmets to Hardhats program, is now a Union Iron Worker. He is a shining example of what's possible when a soldier whose served his country so ably is given a chance to re-enter the work force. 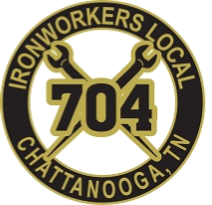 Union Iron Workers and the TVA voluntarily contribute to Helmets to Hardhats with the hopes that they can help many more "Nathan Mays" who are so richly deserving of a chance at a career with the best Iron Workers in the world. "Union Iron Workers are more productive." A independent construction industry research firm with "No dog in the hunt" says so. Want the most for your construction dollar? Watch the above feature.